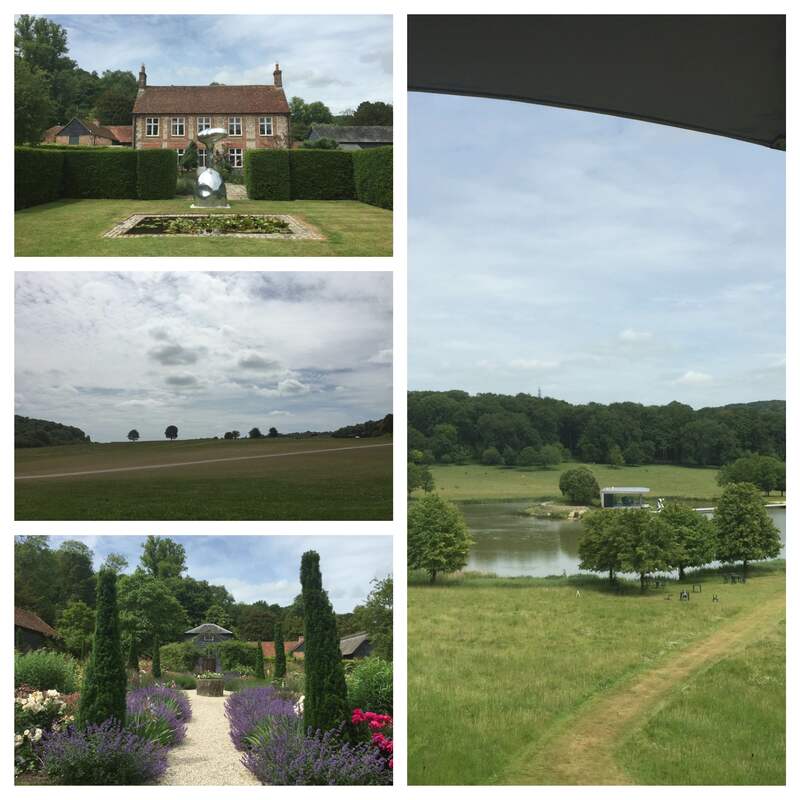 Like Nuffield Place, Wormsley Estate is also typical of the Chilterns: slightly bonkers, intriguing and tucked away in a beautiful place you have probably only cycled past along the boundary-hugging Bridleway. The home of cricket and opera, not two pastimes I would associate with the same venue, but hey, that’s the Chilterns for you. I should have known from the gazillion emails leading up to our event, and the clipboards at the main gate, that it wasn’t just anyone who could enter this hollowed ground. Apart from opera days and corporate events, admission is tightly controlled. How fortunate then that I was able to visit. Set in 2,700 prime Chilterns’ acres, the former home of the philanthropist Sir Paul Getty, who undertook extensive restoration from when he first moved to Wormsley in 1986 and didn’t stop until 1991. The results of his work are sadly not open to the casual visitor, but what is much used by international sportsmen is the hallowed cricket ground known as Sir Paul Getty’s Ground – modelled on the Oval, complete with a mock-Tudor pavilion no less! A mock-Tudor pavilion vies for top spot with Garsington Opera to get the most OMG’s from the crowd. There have only ever been three families resident on this estate since the 16th-century which is an impressive feat in itself and included the Scrope and Fane families, until the 18th-century house was sold to Sir Paul Getty. He added a library for his vast collection of books, developed a beautiful walled garden, continued to purchase great artworks and invited Garsington Opera, who had outgrown their lovely garden home at Garsington Manor in Oxfordshire, to make this their new home. Who knew there was opera on offer here? Is the art, Walled Garden, dining space in the centre of the lake, or simply the landscape that does it? One Chilterns-centric story that I particularly like is that faced with a delay in releasing red kites back into the wild, that had been hunted to extinction, Getty offered Wormsley Park as an alternative release site and saved this important wildlife project. 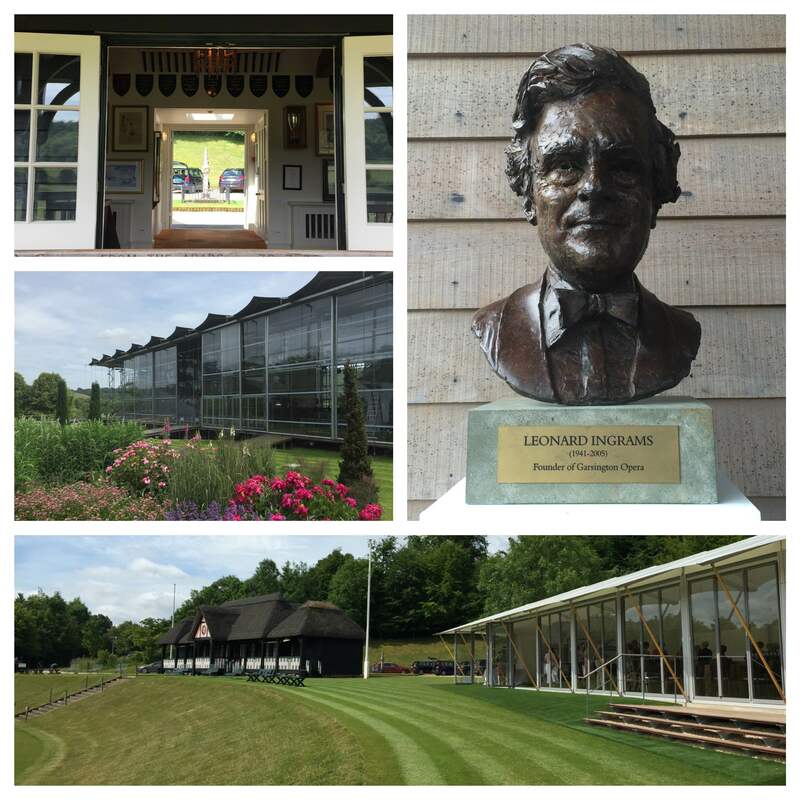 If you are keen to visit, then I suggest you buy Garsington Opera tickets, become a fan of cricket, or splash out and treat your clients to an exclusive champagne reception in the Walled Garden. Head over to the new Chilterns blog, A Year in the Chilterns. For further information on what else to see and in the lovely Chilterns.